Molina Speaks is an artist of the people and for the people, a community advocate and proud father of two. A writer, poet, producer, performance artist, and recording artist, Molina is the Creative Director and a Lead Instructor for Youth On Record. 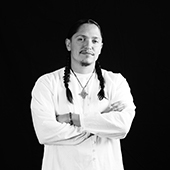 He is a TedX fellow and has been an Artist In Residence with the National Hispanic Heritage Center, Lighthouse Writers, Think 360 Arts, Mizel Museum, Journey Through Our Heritage, Noel Community Arts School, and dozens of other K-12 schools. He has worked on National Endowment for the Arts projects and has accepted invitations to speak and perform and dozens of universities, including Columbia University, University of California at Davis, UT Austin, CU Boulder, and the University of New Mexico, and has taught master artist classes at Boston Arts Academy and Colorado Academy. 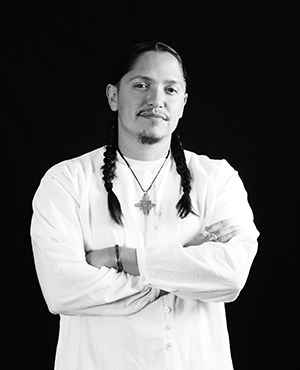 He has collaborated with the Denver Spirituals Project and was recognized as a keynote poet for the 2013 Lalo Delgado Poetry Festival. Molina has released 16 independent DIY albums. His music and perspective have been featured in various documentaries, including Papers the Movie, which screened in all 50 states and influenced national immigration policy. He has been published by various arts and poetry journals and his music has been recognized and critically acclaimed by the Denver Post, 5280 Magazine, Westword, and other publications. Molina was recently booked to be the Live Poetic Scribe for the 2015 Biennial of the Americas. A Professor of Cultural and Media Studies, he consults with various creative institutes, nonprofit organizations and community arts initiatives.